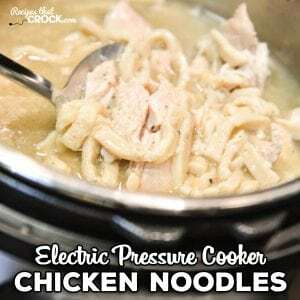 Electric Pressure Cooker Chicken Noodles - Recipes That Crock! Are you looking for a great Instant Pot recipe for Chicken Noodles? 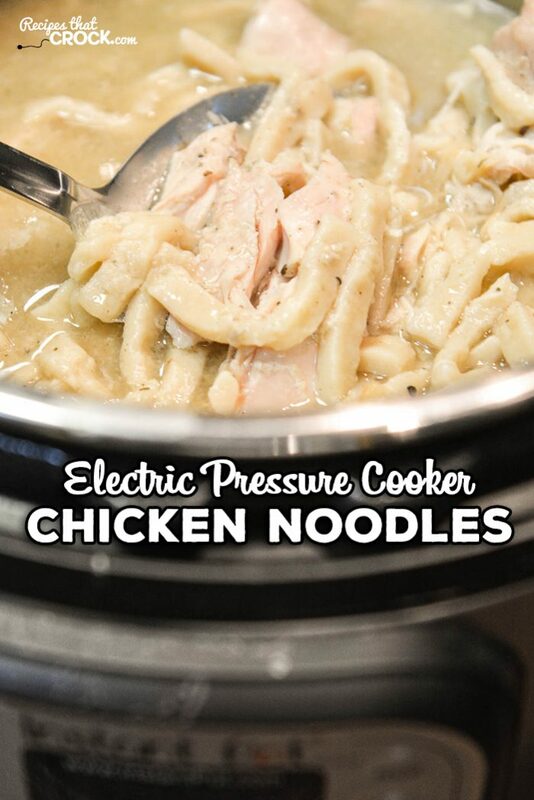 Our Electric Pressure Cooker Chicken Noodles Recipe is so easy to throw together and has that old fashioned comfort food flavor ready in minutes! Noodle-palooza is going on around here lately. It all started with these Slow Cooker Beef Noodles which I adapted for my Instant Pot and Electric Pressure Cooker Beef Noodles was born. 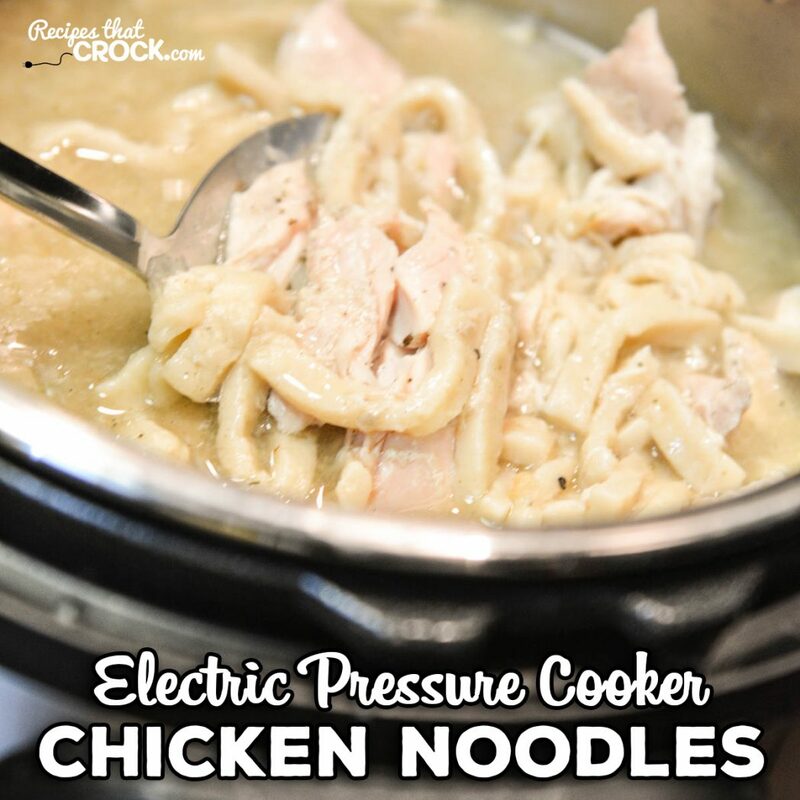 Then we whipped up some Slow Cooker Chicken Noodles and now I am sharing our Electric Pressure Cooker Chicken Noodles recipe adapted for the Instant Pot. Mikey even made you a video for this one! We made this in a 6 quart pot. Do not use a smaller size pot or it will likely boil over. If you do not have an electric pressure cooker, you can use our Slow Cooker Chicken Noodles Recipe. Since the broth has a lot of salt in it, you may want to salt lightly to begin with and then adjust your seasoning at the end of cooking as needed. If you use another form of chicken other than the chicken tenders, you will likely need to adjust your cooking time. There is a lot of broth in this dish so do NOT use quick release. Instant Pot and Crock Pot Express but you should be able to make it in any 6-8 quart electric pressure cooker. Add tenders to your 6 quart electric pressure cooker or Instant Pot. Season with Salt, Pepper and Poultry Seasoning. Add broth, noodles and stir. Made this tonight and could not believe how good it is! Tasted like it had been coking all day! I used individually frozen boneless skinless chicken breasts, 2 plus a tender size piece, and didn’t need to add any cook time. It took a little bit longer to come to pressure is all. Took just under an hour start to finish. I also thickened mine a little when it was done with a corn starch and cold water slurry. 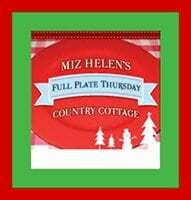 I like mine to be gravy like. ? BTW, I’m a fellow Hoosier! Muncie here. I am fairly new to using the IP and am unsure of how to use the manual button — you said to hit it twice and it shuts off the warming feature. When or how do you turn that back on? The keep warm feature is automatically on every time you cook something under pressure. Double pressing any of the buttons that use pressure to cook will toggle the keep warm off for that cooking cycle only. My crockpot recipe also calls for cream of chicken soup. I am wondering if I might cause a disaster if I include this before cooking or if I need to add it after. I don’t have any experience experimenting so I am afraid to add. 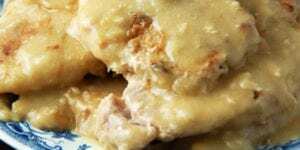 I just made this recipe tonight and it is fantastic!! This will be a keeper! Thanks for all the work you did to perfect this. Well I made this tonight using my Instant Pot, and here’s my evaluation. I used 3 Frozen chicken tenders and 2 hand fulls of Reames frozen dumplings, along with some baby carrots and 1 onion; plus a teaspoon of Better Then Bullion and some Kosher salt. I cooked it for 6 minutes plus 20 minutes on natural release. (power off). The chicken was perfect. The carrots were al dente (just the way I like it). The dumplings were under cooked and a little too Al Dente. The broth was perfect except a little too salty. (my fault) If you were to increase the cooking time, then the chicken and carrots will become too soft, so right now I’m not sure just what the solution is.I’ll have to give this some more thought. I’m from New England, and there are NO frozen egg noodles to be found out this way! I tried some fresh linguine (Buitoni? )…I cut it with scissors and I’ll let you know how it comes out…currently on NPR! Okay…the refrigerated linguine worked great! I added carrot coins (at cooking time) and after, some heavy cream and a cornstarch slurry (because we like it thick). Served it over mashed potatoes! Delish! So glad to hear it Sue! New user with the pressure cooker. How do you cook on manual? I don’t see that option. Is there a way to make this creamy without scorching or otherwise wrecking it? I never knew frozen noodles existed… where are they normally found in the frozen section? I looked yesterday and couldn’t find any. 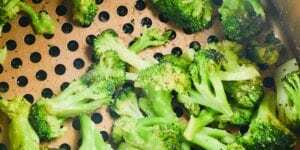 I’d love to try this as my first recipe using my instant pot! Reames frozen noodles. They’re in the frozen section. In our store they’re by the frozen ravioli. Frozen egg noodles seem to usually be near the frozen garlic bread. My store has the Reames frozen noodles in the frozen bread area. Thanks for the recipe! Question: Do you thaw the noodles before adding to the recipe or use them frozen? I would like to know if you could use dry noodles instead of frozen and what would we need to change if anything. I haven’t tried it, but I think they should work. Let me know how it goes! 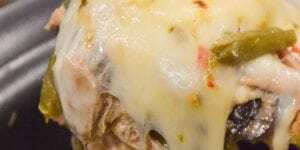 I’m cooking for two – if I cut this recipe in half will it change the cooking time? I haven’t tested a smaller amount so I can only guess. I would assume the time under high pressure still needs to be 5 minutes but I would guess that the time it takes to get to that pressure might change due to their being less content in the pot. Let me know how it goes! Hi! I’m new to the instant pot world, but wanted to start with this recipe! 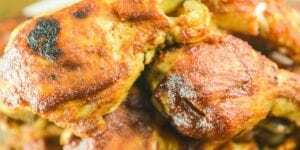 I have a combo of chicken thighs and breasts I need to use on hand. Any tips for cooking times? Thanks in advance! I haven’t tried pieces of chicken bigger than tenders, so I would just cut them in strips if you want to follow the method we used. Or, you could increase your time to 8-10 minutes and it would likely be fine in whole pieces. I haven’t tested this, so let me know how it goes if you try it. Enjoy! new pressure cooker(instant pot) owner. how do you do a slow release? Natural release means instead of flipping the pressure valve to “Quick Release” at the end of cooking you leave it on sealed for 15-20 minutes until it naturally unseals. Hope that helps! Just made this in my Instant Pot. First dish I have made in my new Christmas gift! These are incredible! My kids just keep going back for more! So glad to hear you enjoyed it Jeanette! I forgot to thaw my chicken. How much time do you think I should add to make up for the frozen tenders? Could you use dry noodles for this, not frozen? How would that change cooking time? I haven’t tried them. I doubt it would change the cooking time much but I haven’t tested it. If you do I’d love to hear how it goes! Enjoy! We used thawed chicken. Enjoy! 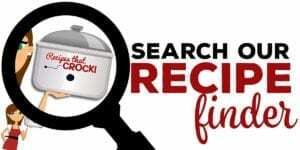 New to pressure cooking! You only cook this for 5 minutes? Where does the other 30 minutes of cooking go? Help! 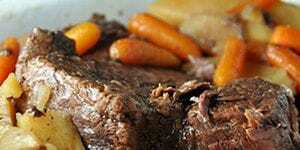 You set your pressure cooker to 5 minutes under high pressure. However, the timer won’t start until the pot reaches pressure which will take time heating up and the food will partially cook during that time. We also use a natural release after the timer goes off which will take some time too. So while your timer is set to 5 minutes, there is time before and after the timer that adds up. Does that make sense? 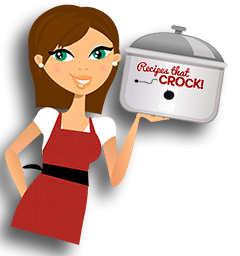 Hello Cris – new pressure cooker owner here! Should I cut the chicken before adding it to the pot? Also, all I have are chicken breast – same result? I used tenders, so I would assume if you cut your breasts into strips it should work similarly. I haven’t tried it with full breasts, but I would assume if you left them fully intact the cooking time would be longer. Enjoy! Hi Cris – just wondering why the slow cooker version calls for 24oz of noodles but the pressure cooker version calls for 16oz. Please advise. Thanks! I am so glad you caught that Debi! It is 24 Oz. I meant to write 1lb 8oz and I left the 8 Oz off! I fixed it. Thank you! 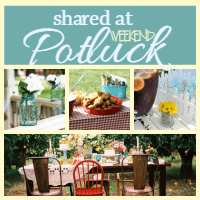 Thanks for all of your great recipes!! Oh goodness! Thanks for the heads up. I just went and fixed it too. I was clearly having an off day! Merry Christmas!